Did you know that pillows are some of the main culprits for neck and back pain? Although this sounds far-fetched, a low-quality pillow is actually one of the reasons why you wake up with a stiff neck. Using the wrong pillows intensifies migraines, discomfort, poor sleeping patterns, neck and back pain. On the bright side, if the pain in your back or lack of sleep is as a result of poorly-constructed pillows, it’s easy to solve this. Simply dispose of your current pillow and look for a quality body pillow (if you are looking for non-body pillows, perhaps this pillow shopping guide will help). Long body pillows are incredibly efficient. They help to relieve strain from your spine so that it remains in a neutral position when you sleep; hence preventing back and neck pain. A body pillow also enables your muscles to relax- a process that improves circulation. Here is our rundown of the best body pillow and its competitors that we could find. If you’re also in the market for a mattress along with your new body pillow, check out this mattress guide. Which pillow is the ‘ Best Body Pillow ‘? If you’re looking for a body pillow that will provide you maximum support, the Snuggle-Pedic model is your best bet. We give it such high remarks as the best body pillow because, apart from being supportive, this body pillow is also highly-flexible and malleable. It’s a perfect choice for pregnant women and persons with injuries. The good thing with this pillow is the fact that the shredded memory foam is moldable. It means that you can adjust the fill as you want. This way, you can customize the support level of the Snuggle-Pedic to conform to your body’s requirements. Just push or press the memory foam till it attains the level of thickness or thinness that you want. Snuggle-Pedic full body pillow measures 54 inches in length. For an average-sleeper, the pillow is long enough to fit in between your knees and ankles. It also comes with a 20-year warranty- one of the longest of any body pillows that we’ve ever reviewed. 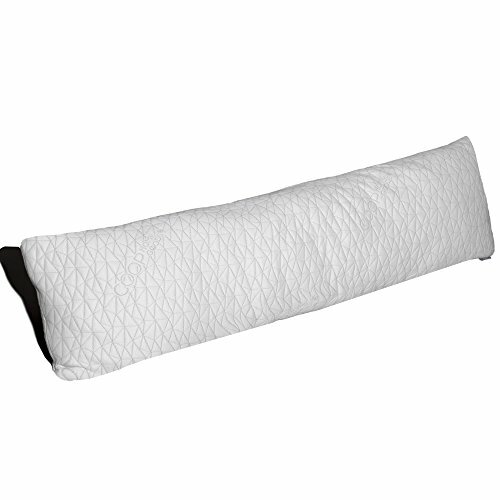 The outer material of the Snuggle-Pedic full body pillow is a combination of polyester and bamboo-viscose. The latter is a kind of rayon. Overall, this construction makes the pillow feel cool. Unfortunately, the outer cover is not detachable. But, you can always ask for a zippered cover from the manufacturer. In fact, if you purchase the pillow from Amazon, the firm sends you an email inquiring whether you want the free cover. If the Snuggle-Pedic does not meet your needs, the Total Body Pillow by Coop Home Goods is a decent runner-up to the best body pillow. Like the Snuggle-Pedic, it also has shredded memory foam and a cooling bamboo-viscose cover. And while it also has the same length of 54 inches, it’s a bit heavier than the former. The key highlight of this body pillow is that it can be customized to your comfort. Ideally, you can remove as much of the fill as you want to make it thin. This is made possible by the fact that the pillow comes with a zippered outer casing. As such, you can open it up and add or remove the fill to your preference. The Coop Home body pillow also features a quilted stitch structure on the cover, giving it a more textured feeling. But what we love most about this pillow is that it is hypoallergenic and dust mite-resistant. If you suffer from allergies or you are pregnant, this pillow will ensure that you don’t run into any breathing or other issues while sleeping. What’s more, this body pillow is certified by CertiPUR. This certification confirms that no ozone depleters, PBDEs, TCEP flame retardants, mercury, lead or heavy metals have been used in its construction. You don’t have to save hundreds of dollars just so you can get the best body pillow. If you’re willing to go for a decent one, for just $10, you can invest in this high-quality body pillow by Newpoint Corporation. 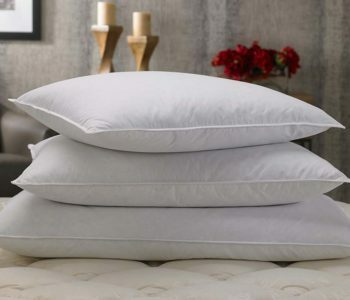 What we like most in this pillow is the way it balances moldability and support. 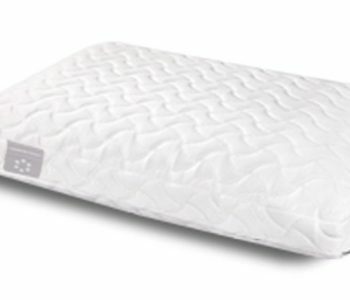 The Newpoint contains smooth and springy fill instead of the ultra-moldable memory foam found in most body pillows. This feature is great for providing light-to-medium support, particularly around the limbs. 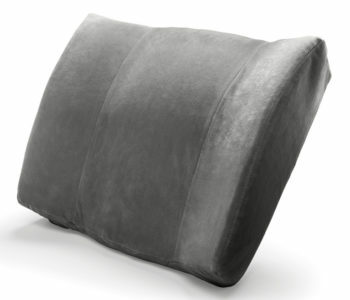 Also, the design of Newpoint pillow is great for supporting your knees, arms and the head region. This makes it an excellent choice for pregnant women. 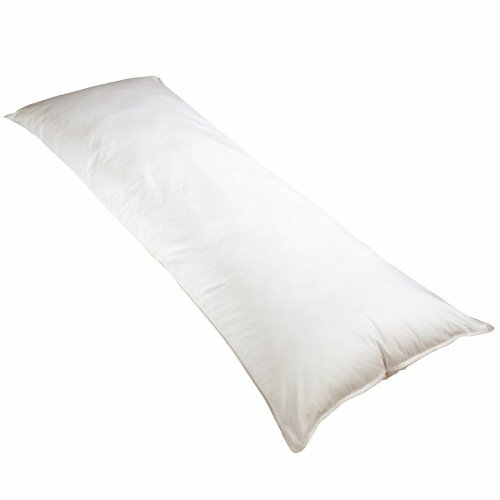 In general, if you need a pillow with a nice padding, the Newpoint body pillow is a great option. This body pillow measures 20 inches in length, 54 inches in width and has a height of 5 inches. 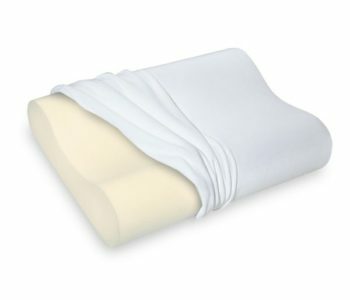 The cover features a 235-thread count and is made purely from cotton. It’s also machine-washable for easy cleaning and maintenance. Although this pillow can be used by just about anyone, it’s best-suited for side sleepers. As you can see, there isn’t much we can say about this pillow to really make it stand out and be the best body pillow. However, it’s a great tertiary alternative! At #4, this is yet another superior body pillow, which is designed by Moonlight Slumber. It’s made in such a way that allows it to conform to the contour of your body while still giving you outstanding comfort. We didn’t rate this as the best body pillow because, while it looks comfortable, it’s rather large and takes up storage space. The Comfort-U pillow is crafted using breathable, hypoallergenic materials obtained from the U.S.
It’s also machine-washable, making its care and maintenance an easy chore. But the best fact regarding Comfort-U support pillow is the way it helps to maintain proper alignment of your shoulders, neck, back and hips. For this reason, this is the ideal pillow to use if you have any discomfort arising from a particular health problem. The Moonlight Slumber U-shaped pillow is available in two different designs, that is, the one-piece or three-piece. Each pillow measures 60 inches by 35 inches by 7 inches and contains an extended polymer fill. Polymer is the most preferred fill because of its ability to provide airflow; hence, prevent clumping and flattening. A polymer fill provides just the correct amount of soft support without being too stiff. 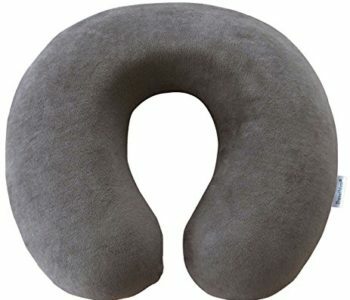 Comfort-U Support Pillow features a unique horseshoe design, which enables it to provide optimal back and front support for side sleepers. 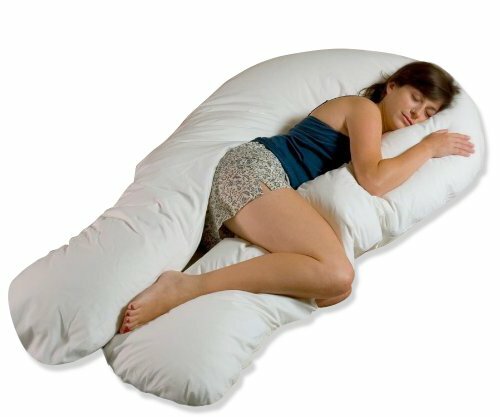 While sleeping in this pillow you feel like you’re being hugged. You can also tuck one of the pillow’s lower extensions between your legs and knees. This sleeping position ensures that your back and hips are aligned perfectly. 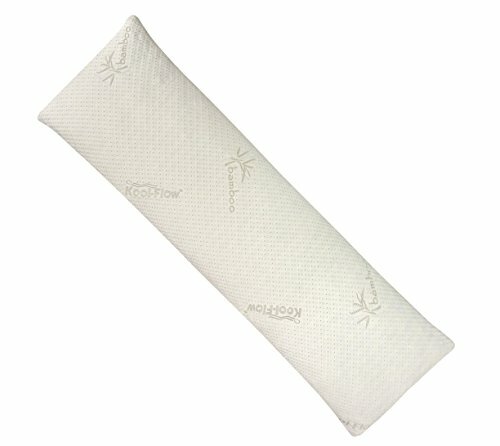 If you’ve just had a baby, this Comfort U-pillow will provide excellent support as you breastfeed. This pillow is also suitable for persons diagnosed with arthritis and other musculoskeletal issues, sleep apnea, respiratory conditions, chronic back pain and migraines. The Aller-Ease body pillow is fifth great option while you are on your search for the best body pillow. Many people who have allergies have a difficult time finding the right bedding. If that’s the case, you’ll be pleased to know the Aller-Ease pillow cover is made of cotton- a material that is incredibly soft and durable. This pillow also has a hypoallergenic fiber fill. This fill ensures that it blocks out any and all microscopic particles that are likely to trigger allergy or asthma. 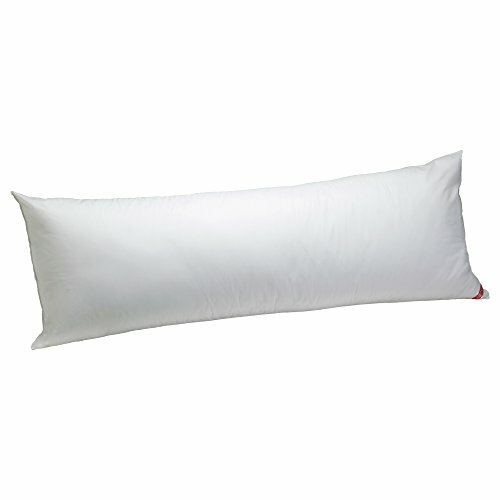 Maintaining Aller-Ease cotton pillow is a snap thanks to its machine-washable construction. If the pillow arrives with a defect, Aller-Ease offers a 2-year warranty. This allows you to return your current pillow and get a brand new one. Based on customer reviews, Aller-Ease serves well as a body pillow. One buyer reported that the pillow held up well for his side-sleeping position. Another remarked that the pillow was light enough to move around unlike other pillows that are a bit too bulky. Body pillows are not designed for only those individuals, who like sleeping alone. These pillows are great if you want optimal comfort when you sleep. Body pillows are also ideal for pregnant women and people who have suffered injuries. They work well to alleviate the pressure points and muscle tension. And the best part is, they are versatile enough to be used by both side and back sleepers. Body pillows come in a range of sizes and designs, but the top-rated ones include the Full Body Pillow by Snuggle-Pedic, Aller-Ease Cotton Protection Body Pillow, the Comfort-U Body Pillow by Moonlight Slumber, Newpoint’s Cotton Body Pillow and the Total Body Pillow by Coop Home Goods. Since these pillows are designed for individual sleepers, you might instead think about getting an excellent pillow (not a body pillow). Here’s a pillow shopping guide in case you’re considering this path.